Chinese Valentine’s Day, also named “Qixi” festival which is celebrated on July 7th by Chinese lunar calendar in China, is coming by 28th of August. For celebrating this festival, OUKITEL is giving bonus to the loves from now on. From August 14th to August 28th, anyone who buy U11 Plus can get second piece by 30% off. U11 Plus retail price is $159.99, by ordering two pieces at the same time, the average price would be $135.99 per piece, this is the lowest price than ever. Considering its specs, this price is really worthwhile. But before you make your decision to place order, check its main features first. The U11 plus features a 5.7 inch FHD AUO brand display with Asahi glass screen, together with two-sided curved frame and IML tech handled new glossy battery cover, displaying a good looking appearance and perfect hand effect. As we are more and more relying on our smartphones for shooting, a good camera is a must. U11 plus gets OV AR1335 16MP sensor(13MP interpolated) for both the front and rear camera. Camera effect is optimized quite well in software. In hardware, U11 plus gets good specifications too. It gets MT6750T octa-core 1.5GHz chipset for smooth handling, LPDDR3 4GB RAM and 64GB ROM with 128GB expandable memory for storing, 3700mAh battery for a whole day use, press fingerprint displayed on the back for smartphone safety. 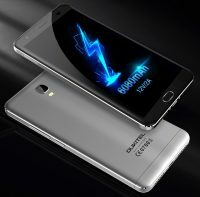 Combining all these factors: big screen, big memory, big battery and good cameras, U11 Plus is a worth buying smartphone with good features and high-end specs. From August 14th to 28th, anyone buying two pieces of U11 plus will get 30% discount off for the second piece. 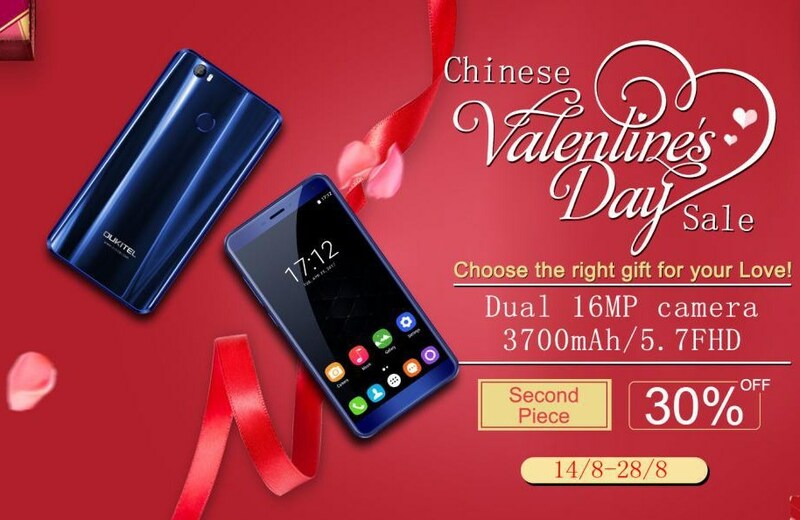 Chinese Valentine’s Day is coming, it’s time for you to choose a right prize for your love! Get it here.